LadderMaster is a complex Visual Lisp program that draws a custom, parametric, cage-ladder to your specifications. The cage-ladder is fully annotated & dimensioned, and ready for the shop. Every part is drawn to FULL SCALE! Complete drawing, with all material, section-marks, part-numbers, weld symbols, B.O.M. & Title-block. A shop drawing within seconds! All variables are parametricly joined to each other (change anything, and everything is updated). Materials Include: Pipe, bar, or tubing, in a variety of shapes and sizes (like square, round, & rectangular). 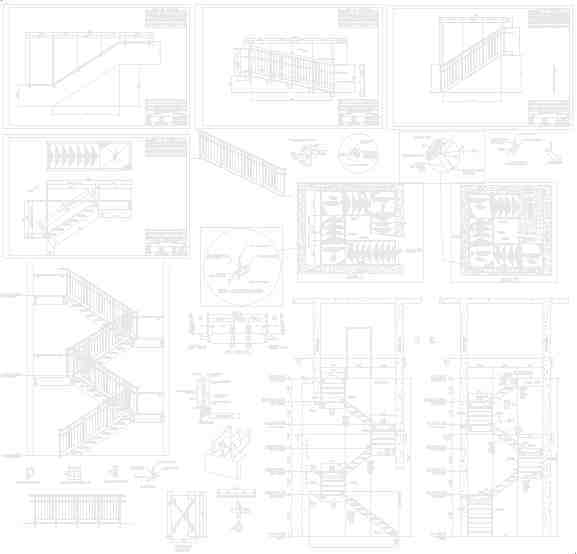 Produces a shop drawing of a cage-ladder, in elevation, side, & 3 sectional views. Elevation, side & 3 sections views.